SMS communicator is the easiest and most valuable module that increases your communication with parents. 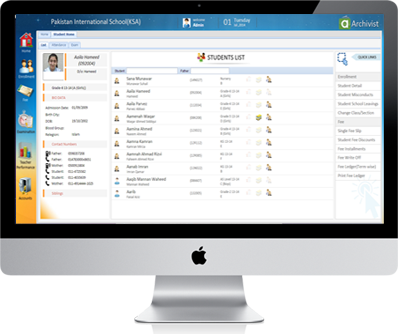 Our web based school management system has all of the tools you need to run your school efficiently and effectively as possible. Our Mobile School SMS Software allows you to quickly and easily send out SMS messages and alerts in order to shorten the distance that separates administrators, students, management, teachers and parents. Provide parents, teachers, students and administrators with the information they need on their smartphone, tablet or computer through the use of an SMS link. Keeping everyone connected is essential to effective communication. Keep parents informed about the performance of their child or alert staff, students and parents about important notices. Our SMS software can send out reminders for fees to be paid or send student performance reports directly to parents. 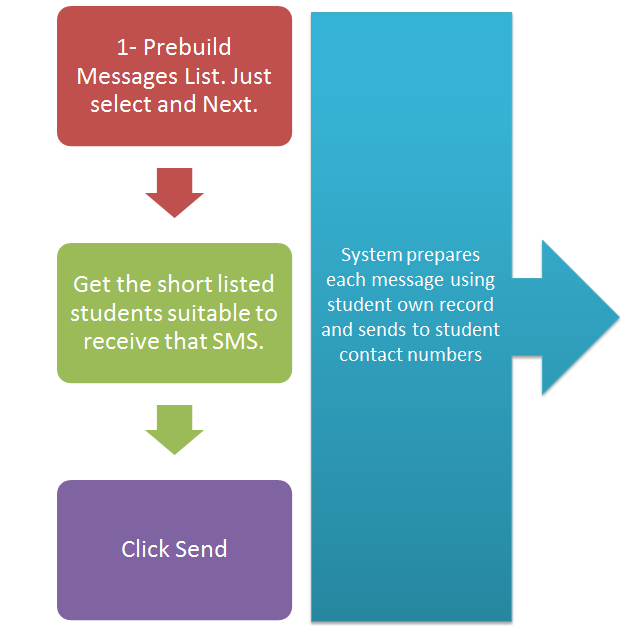 Using our SMS alert Communicator Software is easier than ever and you can even send out customized messages to all staff, parents and students. In today’s technologically based society we can help you to keep up with the times and provide students, parents and staff with an easy to use convenient option for alerts and reminders. SMS templates are already created for your ease. When you select a specific topic it will select its respective student list automatically. Such as fee defaulters list. Users have option to write their own messages and send to any list of students, from one student to the whole school. With our Mobile SMS Alert Communicator Software you can send out alerts to parents, students and staff using the name of your school. If you want are cost conscious then still Archivist communicator is for you. Send out messages using your own mobile while having the same set of features. All SMS sent through communicator are kept in record for certain amount of time and you can check these records with respect to students. If you want to recognize each of your students special day yet don’t want to have to look every day to see if there are any birthdays for that day then you are sure to love the Mobile SMS Alert Communicator Software. This Awesome feature will automatically send out a SMS message to every student on his/her birthday to make them feel special and appreciated as a member of your school or college. If you have a school notice that needs to go out to all parents, students, staff or mixture of the three; our Mobile SMS Alert Communicator Software will allow you to send out notices quickly via SMS messages saving your administration staff time to focus on more important things that need to be done. ost schools contact the parents if a student is absent or leaves early. Once you make the choice to use Archivist Online you can quickly send out SMS messages using our Mobile SMS Alert Communicator Software so that parents are always aware of the comings and goings of their child/children. If you want a convenient and easy way to alert parents of a default in payment of fees, a SMS message allows you to send out specialized messages to parents whose students’ financial accounts are currently in default. The Mobile SMS Alert Communicator Software will allow you to easily send out a reminder to parents warning them of an upcoming fee. SMS automatically includes the balance amount within the SMS alert so parents can easily see what amount needs to be paid. Mobile SMS Alert Communicator Software is a tool that is useful for a variety of things such as sending out a notice to parents when a fee has been generated for their child. The Mobile SMS Software is truly a time saver. Simply send out performance alerts to parents before exams to let them know how their student is currently performing at school. When a ward get admission in your school, send out a confirmation and welcome message to parent to make feel them honored. Sending out exam schedule to each student is a hectic job, now you can easily send out it notice through SMS to the parents.